They say actions speak louder than words and while this was a blessing to Harper at the beginning of his mandate, it is increasingly becoming a curse nearing what could be the end. It didn’t have to be this way: leading a paranoid government of deceit, empty words and distrust – but this is the legacy Harper chose to leave and it is having a profound impact at home and abroad. Harper’s response to Russian annexation of Crimea has been by far the strongest and most provocative of any G8 country to date, but when it comes to actions he has left an empty hand. He has poked a bear with a nuclear arsenal and a vested interest in our arctic all the while intending to cut $2.7 billion from our military budget during a time when NATO would like military budget commitments to be increased and when Canada’s military commitments fall far short of NATO’s membership requirements. 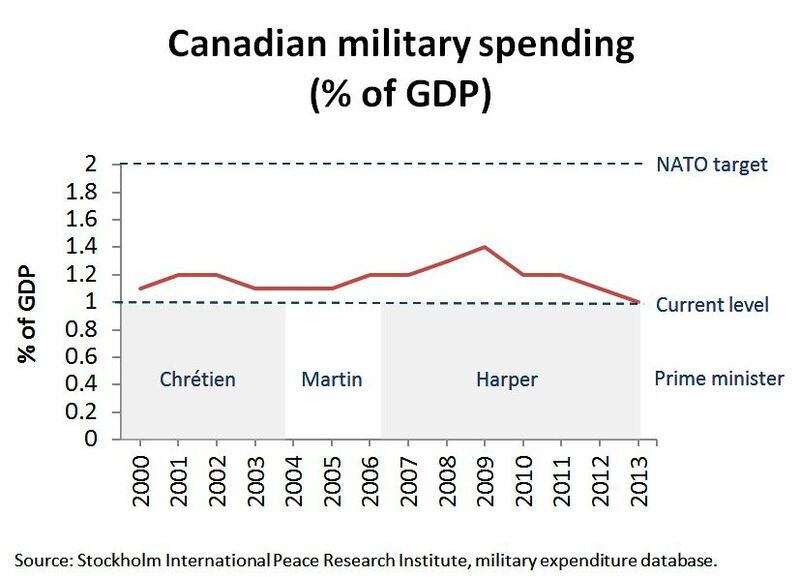 By the time Harper’s next set of cuts to the military is complete, the share of our GDP we budget to the military will be lower than its ever been under the previous Liberal governments. 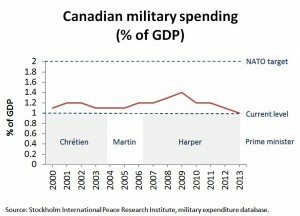 The Harper government’s mismanagement of our military has cut equipment, and training, so how does he expect Canada to have an influential voice on foreign conflicts with a military in despair and unmet commitments with the only military alliance that can help us against one of the world’s giants? His empty words have rung hollow on the world stage and other world leaders have left Harper to the curb with the United States and Germany taking the leadership role in solving a conflict that started in Ukraine’s domestic arena. It is one thing to hate another world leader, Mr. Harper, it’s another thing to realize the double standards. Our federal government has never defended Quebec’s minority anglophone population and cultural minorities when provincial PQ governments hacked away at them for a petty identity-based sovereignty campaign. Who exactly was there in Ukraine to defend it’s Russian ethnic minorities from divisive identity-based policies being rammed through the Ukrainian government? This is no reason for Russia to annex the country, but it would be false to say the Ukraine conflict is one-dimensional. 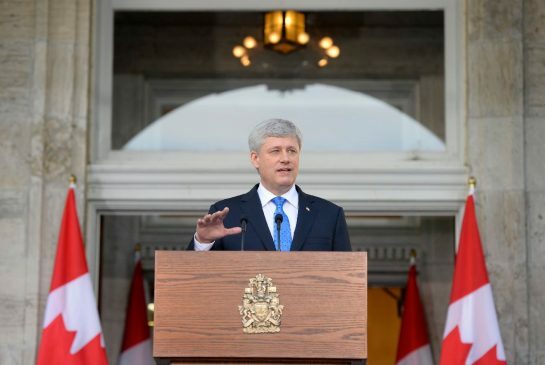 Harper’s views on Foreign Affairs have been one-dimensional and Ukraine is just the addition to the trend. His unwavering support for Israel in the middle-east conflict is far from being nuanced. Israel has a right to its sovereignty and defense on its land – but what exactly is its land? Israel’s expansion hasn’t helped defuse the conflict, instead, it has made things worse for both parties – but don’t expect Harper to say that. The idea of “root causes” doesn’t exist in his vocabulary except as a cheap shot at his political opponents. In 2003, Stephen Harper was steadfast in his belief Canada should have joined then-US President George W Bush’s war in Iraq. The justification was the Iraqi possession of weapons of mass destruction and the need to aid our allies. When the bombs stopped falling and the troops nabbed Suddam Hussein, Canadians and the world saw a spectacular miss. The terrorists responsible for the September 11 attacks in 2001 are still at large and the reports of weapons were fictional at best. The US spent close to $1 trillion on that war and 14 years later, the destabilized region has become a hotbed for ISIS settlement. Had Harper been Prime Minister in 2003, Canada would have joined the US, Australia and Britain in Iraq. Wars aren’t cheap and this one was one-dimensional. ISIS is the terrorist threat of our time. Worst, it is being fueled by a healthy recruitment operation in Western countries including our own. It is clear the world cannot sit idly to this threat. Unlike Al-Qaeda, ISIS plans to form its own rogue state with an economy, resources and organized arsenal. If left unchecked, not only will it have the resources to launch large scale attacks, it will also be able to release sleeper cells in our own country. It is dangerous and scary to think some of our own citizens would be involved in this insensible extremism and the looming crisis requires a nuanced response. Harper and his cabinet have told Canadians the United States asked “for some additional contribution.” The US Department of Defense, however, begs to differ, revealing it merely responded to a letter sent by Harper asking US President Barack Obama how Canada could get involved in the ongoing ISIS crisis in Iraq. 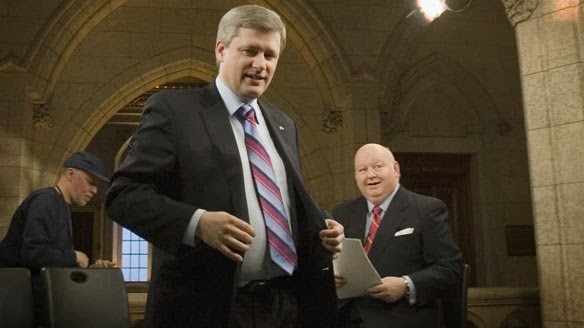 In the meantime, as the opposition try to gauge what this mission will look like, Harper leaves his Parliamentary Secretary of Intergovernmental Affairs Paul Calandra take the questions – only to have him make a fool of the Conservative caucus on every single newsstand the next day. When Stephen Harper talks about judgement, the people he chooses to speak on his behalf and what they are allowed to say is a factor of its own. When asked for specific details about how many soldiers would be deployed in Iraq and for how long, Calandra repeated that Israel was Canada’s friend and they deserve our assistance and that the opposition New Democrats were scattered in their positions. The exchange between NDP leader Thomas Mulcair and Calandra on Thursday is one to see to believe. 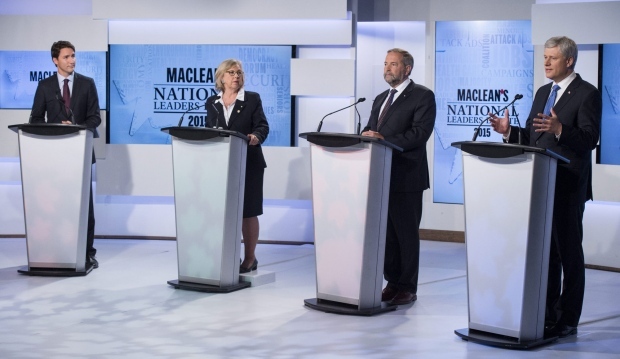 But with Harper’s empty rhetoric echoing domestically at home and on the world stage, and his spokespeople avoiding real and substantial debate, it is clear his judgement, leadership and credibility are all but lost. As long as he can’t put his money and actions where his mouth is, the world won’t take him seriously and by extension, as our spokesperson to the world, they won’t take Canada seriously either. 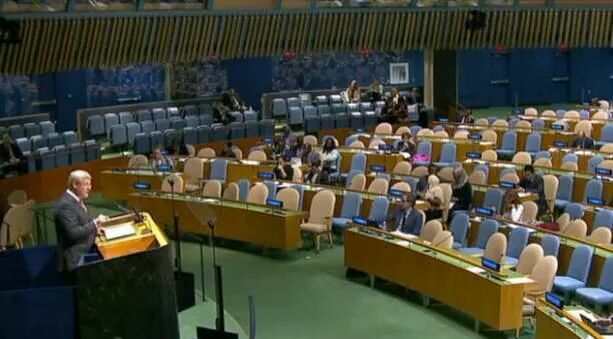 Harper once said we wouldn’t recognize Canada when he was done with it. He was right. And the world has noticed. Harper addressed an empty UN conference, a testament to how badly he has tarnished Canada’s reputation and credibility on the world stage.